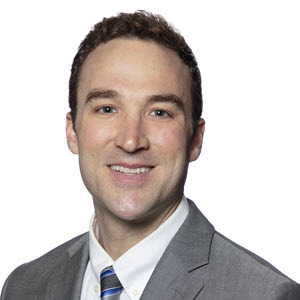 The Village Doctor is delighted to introduce our colleague and guest author, Dr. Justin Thompson, who is an Obstetrician and Gynecologist, along with Drs. Zena Kharsa and Jags Powar, at the Stanford Women's Health clinic. Please read more about Dr. Thompson and his practice here. "As an Obstetrician and avid cyclist, I am very passionate about the numerous benefits of physical activity before, during, and after pregnancy. In the past physicians would often tell pregnant patients to go on bed rest during pregnancy. For the majority of healthy women with low-risk pregnancies bed rest is no longer advised as it can actually be harmful to a women's health. Bed rest during pregnancy increases a woman’s risk of blood clots. It also decreases a woman’s muscle mass and aerobic capacity which can make laboring and caring for a newborn challenging. The safety and benefits of exercise have been demonstrated in many studies. The incidence of preterm birth is similar between women who exercise and those who do not exercise. Exercise is associated with a lower incidence of gestational diabetes, hypertensive disorders of pregnancy, cesarean delivery, and excessive gestational weight gain. Exercises that have been studied and appear to be safe in pregnancy include: walking, swimming, stationary cycling, elliptical, low-impact aerobics, yoga, pilates, running or jogging, racquet sports, and strength training. Exercises to avoid include: contact sports (ice hockey, boxing, soccer, basketball), activities with high risk of falling (downhill skiing, water skiing, surfing, rollerblading, mountain biking, gymnastics, horseback riding), scuba diving, sky diving, and hot yoga/pilates. At the start of pregnancy, patients should discuss with their Obstetrician before continuing a current exercise program or starting a new workout regimen. 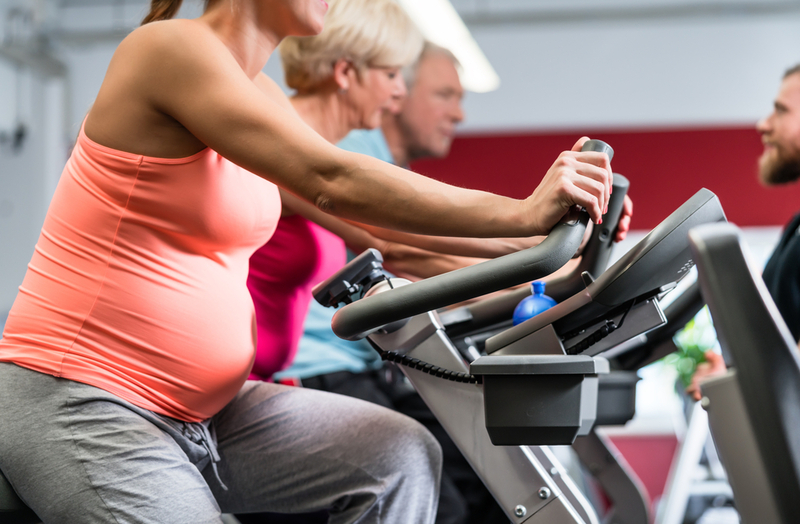 Some conditions in pregnancy that can make exercise dangerous include: significant heart disease, lung disease, incompetent cervix or cerclage, multiple gestation at risk of premature labor, persistent 2nd or 3rd trimester bleeding, placenta previa after 26 weeks, premature labor during the current pregnancy, ruptured membranes, preeclampsia or pregnancy-induced hypertension, and severe anemia. The goal should be to exercise throughout pregnancy for at least 30 minutes at least 5 times weekly at moderate intensity (ie, be able to carry a conversation during exercise). Pregnancy is not the best time to learn a new sport such as learning to ride a bike or training for your first marathon. For pregnant patients who have a high level of skill and comfort with certain activities such as outdoor cycling, it may be safe to continue those activities throughout the majority of the pregnancy after a conversation with their Obstetrician. There are some warning signs to discontinue exercise while pregnant which include: vaginal bleeding, regular painful contractions, amniotic fluid leakage, shortness of breath at rest, dizziness, headache, chest pain, muscle weakness affecting balance, and calf pain or swelling.